Sasquatch Jacks is a family friendly hideaway barroom and grill in Waverly, Iowa with a unique, fun, and friendly atmosphere. 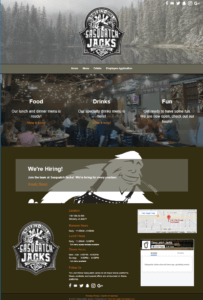 The Sasquatch Jacks website was built to be fully responsive to any device or browser its viewed from and was designed according to the restaurants needs and specifications. 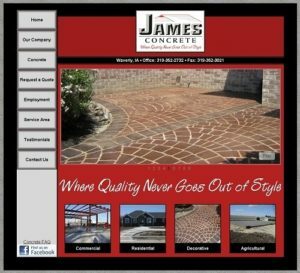 They utilize our content management system for easy modification of website content, food and drink menus, and image upload. 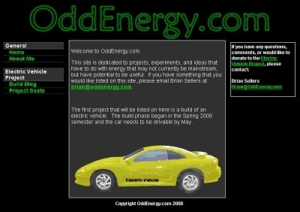 Their menus are all text and don’t require a pdf viewer to view. 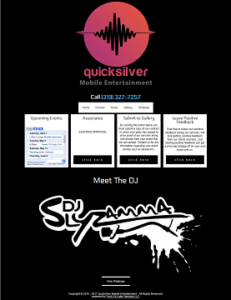 What’s worse than trying to look at a menu on your phone when you’re hungry and having to wait for a pdf to download, knowing it will be hard to read without having to swipe, pinch, and zoom. 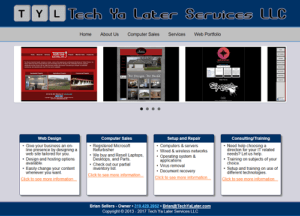 Tech Ya Later Services LLC is the sister website to Sellers Web Design that showcases the websites and services our company offers. 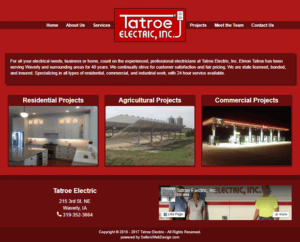 The website utilizes our content management system and is frequently used to demonstrate features and capabilities of the content management system. 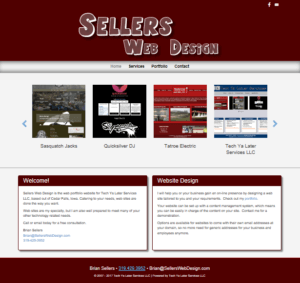 Sellers Web Design is a sister website to Tech Ya Later Services that showcases the websites and web services we offer. 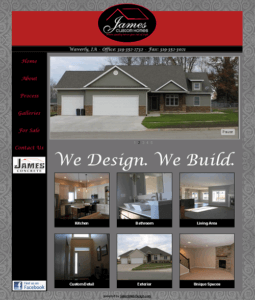 It is used to demo features and capabilities of the content management system we use for most websites.